SnapChat Log in and SignUp | SnapChat Login and Sign Up: Snapchat app has been regarded as one of the world most used app for connecting with friends and family. Snapchat account is used to capture pictures of your fun moment as well as videos and share it with your friends and family who are fare away from you at the moment. How to Login SnapChat on Android Phone – www.snapchat.com Sign in The steps that are to be followed for Snapchat Log in online with Android are as shown bellow. As a Twitter user, you should fully understand that following someone is not a guarantee they will return the favor, and that’s fine. Life can be unpredictable to which Twitter is no exception. There are some awesome tools online that you can use to know which users aren’t following you back, inactive persons on Twitter, and much more. Below are four great tools that you can take advantage of and the best part is that they’re free. ManageFlitter is an impressive app that will give you a complete report of those that you’re connected with in some way on Twitter. Through your Twitter account, you will have access to lists of those who aren’t following you back, inactive users, and spam accounts, among other variables. ManageFlitter is convenient too, especially in the list format, you can unfollow users with one simple click. When using this tool, it’s important to see who is inactive. While these users may already follow you back, if they’re designated as ‘inactive,’ it means that they haven’t tweeted in at least thirty days. If they aren’t tweeting, why follow them? One of the great features of Friend or Follow is that it doesn’t just focus on Twitter, but it takes a look at Instagram and Tumblr as well. 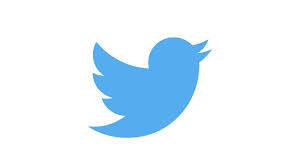 In terms of Twitter, you can sort users by various factors, including whether or not they’re verified, when they last tweeted, how old their account is, or how frequent they tweet, for example. While this is another great tool to see who isn’t following you back, it’s a little bit more time consuming than ManageFlitter, in that to follow someone, you need to open their profile into a new tab or window. However, great features make up for that. While you have the option to pay for additional features with Friend or Follow, the free version of the tool more than serves its purpose. Unfollowers is another helpful tool that even includes a mention tracker, so that you can see who (either that you’re following or who follows you) has interacted with you in the past. Not only that, but you can set the layout to either have a list, grid, table, or button format, with the table format being shown above. Through the various layout options, you’re given informative statistics on the Twitter users that you’re following and that are following you, and just like with ManageFlitter, it’s very convenient to follow and unfollow, all with one click. Another free tool, twitNERD, is great in that it has a unique feature for you to use to find people to follow. Through the ‘Follow by Keyword’ tab, you are able to input any keyword or phrase, which will introduce you to various influencers and popular users on Twitter that fit the particular description of what you’re looking for. This is a great way for finding new users to connect with. Not only that, but twitNERD has a great feature in that it will automatically generate ‘Follow Friday’ tweets for you, based on factors such as those who retweet you and mention you the most. This will save you time, while also crafting a tweet on your behalf that sends a ‘thank you’ out to your loyal followers. Through social media, it’s important to see who is connected with you. What tools are you using to see who is and isn’t following you back on Twitter? 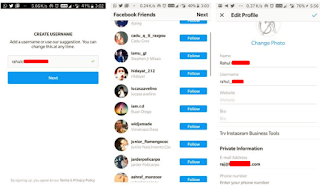 You can login Instagram making use of the e-mail ID but to conserve time as well as login instantly you can make use of the Facebook. 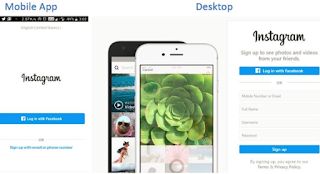 Action 1: To login Instagram using the Facebook you will certainly see a button labeled with "Log in with Facebook" on both in the Desktop PC browser and Mobile app. 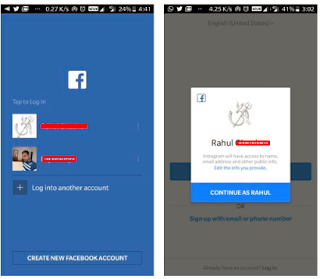 Step 2: If you touch the "Login To Facebook" switch the Instagram ask to access the Facebook account with which you intend to accessibility or established the Instagram. Step 3: If you are accessing the Instagram first time it will certainly ask to create a username. By default, the Instagram gives you some random username based on your Facebook account information. But you can transform it to whatever you like later by modifying your Insta's account. As an example, right here we have transformed the username to rahul_xxxx. In this way, you can conveniently login to Instagram making use of the Facebook. 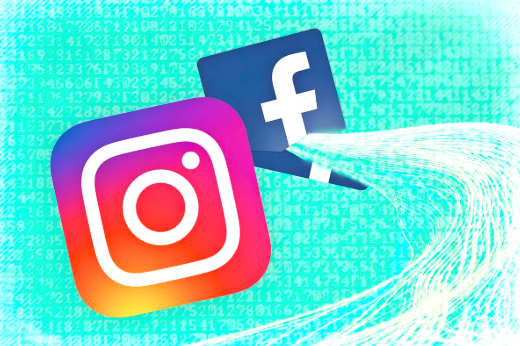 Currently every time when you wish to visit the Instagram you can utilize the exact same Facebook account that you made use of to register. Yet exactly what occurs? If you fail to remember the Instagram password that has actually been produced with Facebook since you never got the credentials of the Instagram account developed utilizing the Facebook except for the username. You could find the response to this concern later on in this tutorial short article. Did you know that setting up your boards properly on Pinterest can actually help you get more Pinterest followers? While marketing a business on social media, it is important to create boards that encourage customers to follow your brand and want to find out more. You have to try to focus on things that are specific to what makes your brand unique, rather than creating random, vague or generic boards. Click on the Add+ link located in the top right corner of the Pinterest site. The Add box pops-up with three options: Add a Pin, Upload a Pin, and Create a Board. Click on the 'Create a Board' button and then 'Create a Board' box appears. Fill the 'Board Name' text box and chose a name that will describe what your board is about. Choose an option from the Board Category drop-down list. The category options are really broad, ranging from Architecture to Photography and Art to Wedding & Events. Choose the one that represents your board and your brand the most. You can also choose Other if you do not see a suitable category on the menu. Do your best to choose a descriptive category, however. 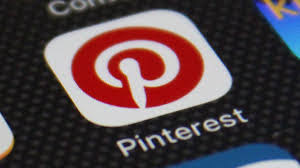 Try to be as specific as possible to catch the attention of people who are searching on Pinterest. Determine who can pin to the board. 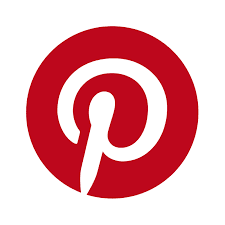 If you want to be the only pinner then leave it as it is.But if you want to invite other people you follow on Pinterest to add pins to this board, click in the Add Another Pinner text box and type in the person you want to invite to the board. Click on the Add button. Repeat to add more people. You'll arrive at your newly created and empty board. Upload an image from your computer or phone to create a Pin. Add the Pinterest browser button to your favorite browser to save ideas directly from anywhere on the web. 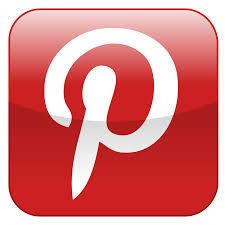 Pinterest has made it possible for users to add pins from anywhere on the web using their 'Browser buttons'. Below are the instructions for installing their browser button. After installing, click on the red 'P' at the top of your browser whenever you find something on the web that you want to save.